Get everything you need to create a complete and fully-functional rainwater harvesting system — just add the barrel! Automatically collect, save and re-use rainwater right from your home’s roof and gutters in a simple, fun, do-it-yourself project you can complete in about 30 minutes. Kits are available for both STANDARD 2″ x 3″ DOWNSPOUTS and OVERSIZED 3″ x 4″ DOWNSPOUTS (see the bottom of this page for more details about the 3″ x 4″ kit). COMPLETE KIT PRICE: just $34.95 ea! SAVE $5.45 vs. purchasing items separately! BONUS: BUY 2 KITS, GET FREE SHIPPING! NOTE: A RAIN BARREL IS NOT INCLUDED! Recycled plastic barrels are cheap to buy but expensive to ship, so a barrel is not included in this kit. See ideas on how to find inexpensive recycled barrels locally here. To install the diverter to a downspout on your home, drill two holes in any kind of plastic barrel, attach the spigot and the hose adapter to the barrel, and you are ready to collect and use rainwater you collect whenever you want! Complete installation instructions are included. 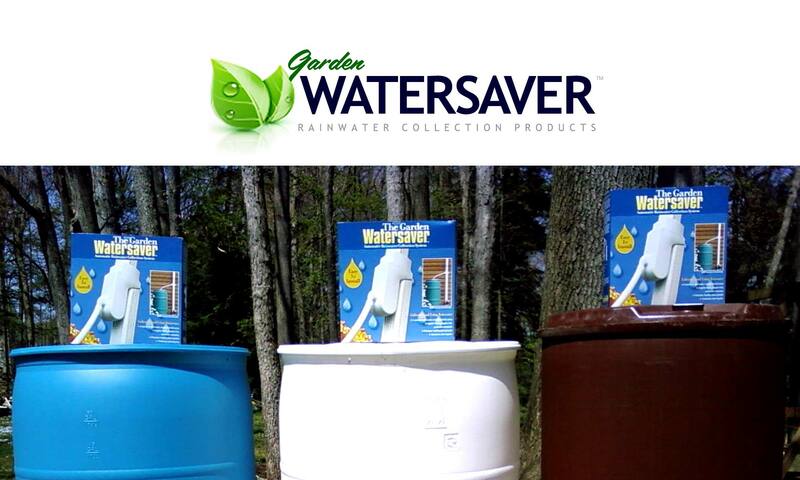 The Garden Watersaver Complete Rain Barrel Construction Kit will help you save money, help the environment, and green up your garden! Avoid water and sewer usage fees by storing free water! Reduce runoff to local streams, rivers and lakes! Use nitrogen-rich rainwater instead of chlorinated tap water to better grow your flowers and plants! Don’t run to the hardware store or hope mix-match pieces fit. We’ve included everything you need to create a complete rainwater harvesting system, all in one affordable package. 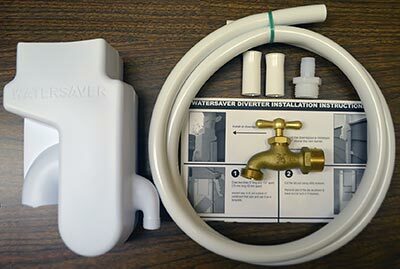 Take water from your roof to your rain barrel to your garden in no time with the easy-to-use Garden Watersaver Kit! Have Oversized 3 x 4 inch Downspouts? Most standard downspouts are 2″ x 3″. Some cities and states have building codes that mandate larger gutter and downspout systems. 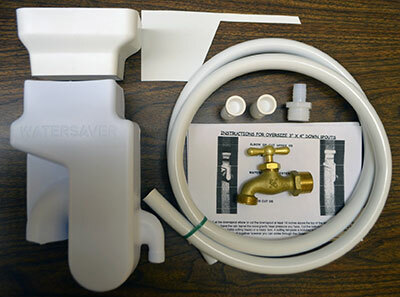 Residents in those locations should order the Complete Rain Barrel Construction Kit for 3″ x 4″ Downspouts (shown at left) from the ORDER NOW page.